One of the more rare varieties, but used to be very popular in the Ozarks of Missouri. Flavor is outstanding; rich and sweet. Fruit size averages about 10-14 oz. Heirloom Seed Packet. 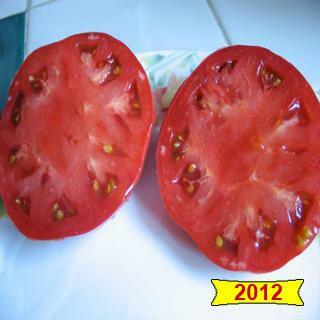 Millionare gets many raves from heirloom enthusiasts for its deep pink beefsteaks. One of the more rare varieties, but used to be very popular in the Ozarks of Missouri. Flavor is outstanding; rich and sweet. Fruit size averages about 10-14 oz.